A lot of the photos in this state are historical photos from the 1970's and 1980's, provided by Michael Summa. 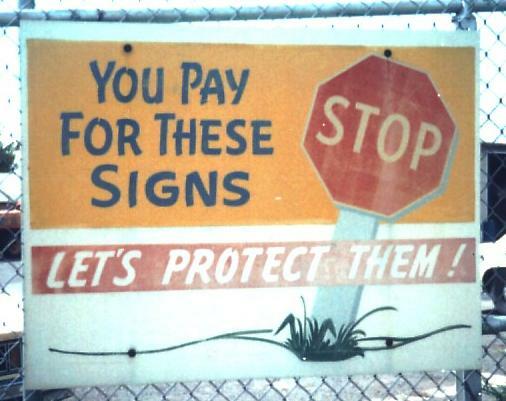 If you couldn't tell, the first sign below is one of them. 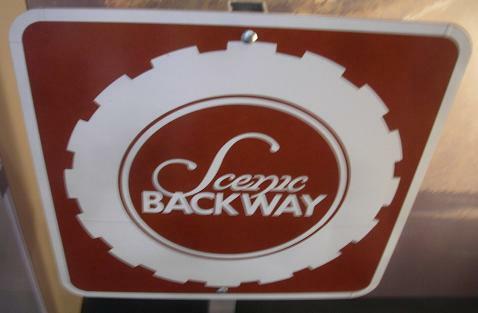 The second photo shows one of the signs that's pretty hard to steal. It also lights up when you need something shiny to distract you. Courtesy Doug Kerr. UT 128 WB ends at Moab, courtesy Michael Summa and taken in 1984. 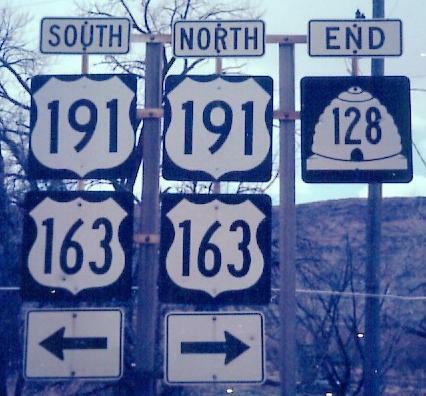 US 191 is a newer designation than US 163 (1982 versus 1979), so even though the shields are the same widths, the 191 numerals are larger because the shields are newer. 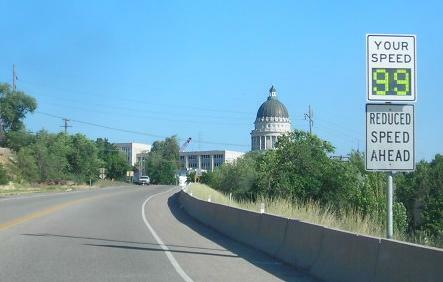 US 163 was Utah's only split route - it turned into UT 163 after multiplexing with US 191, but that was since renumbered to UT 162 and the useless multiplex signs were removed. (Thomas Silas tells me that technically, US 163 still follows US 191 all the way to I-70 for no good reason.) 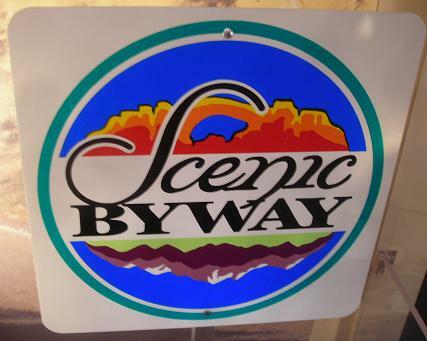 It's also nowhere near US 63, or the original US 163. I'm sure these were around in the Age of Summa, but these were found in a museum by Doug Kerr. 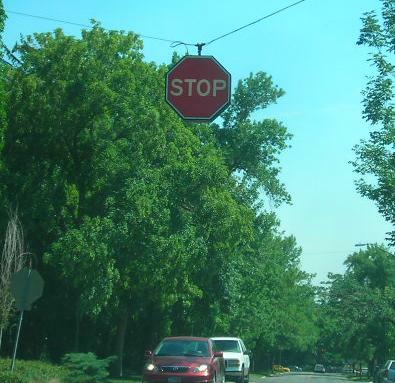 It's a good thing you have to slow down before you reach the state capitol. UT 186 SB, formerly UT 184, and which despite its routing was never old US 89 at all, but was part of UT 181. Money's on a fourth renumbering in the 180 series, just for funsies.